It is human nature to worry and create conflict. When one conflict is resolved, we will assign another one in its place. I try and step outside of my experience, my thoughts while I am living through the sleepless nights and burning pain are much more different than my thoughts when i am merely an observer. its easy to feel sorry for myself when I am immersed in the terrible pain, the loss of strength and ROM. When the hours stack on each other and I have yet to go to bed for the night, is it because I created this?? Just shy of a year since I first injured my shoulder, that wasn’t my first conflict. I was terribly sick from a root canal that an inexperienced dentist started but lacked the skills to finish, he missed two of the four if not more roots in a molar and that led to infection and illness, it was subtle, I hardly knew what was happening, the one thing that didn’t die was the pain. Well that eventually healed and now I have this shoulder to take it’s place. I guess I thrive on conflict and illness. I guess I need to feel this pain to remind me that i am still human. Ignorance is bliss and sometimes the thirst for knowledge can be dangerous. I have a tendency to worry as it is and so when two days after surgery as I sat in your office bleary eyed and numbed from narcotics you said “and if you don’t think this worked we could always do this, the rest was written down, i didn’t know what to think except I know my heart skipped a beat. My brain reeled in horror, You mean I may have to go through all of this again?!? I still look back on it and wonder if maybe I was hallucinating, but truth is, the last pain pill I had before I saw you was midnight. Eventhough I have an addictive personality, I still can’t get an addiction to those opiates. I was pretty clear headed and I remember what you said and it still causes me great distress and worry. i have so many unanswered questions and the only person who can answer them is you. I know I will never have the guts to voice my concerns to you, you are already busy and in over your head, I can’t add to all of that because honestly I still don’t know what to think. I am hoping that you made a clinical decision that may not have went how you planned, but if that was the case, why did you even bring up your doubt 2 days after surgery? 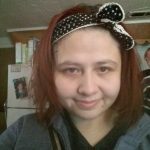 34 year old female stuck in between time and lost in Colorado.